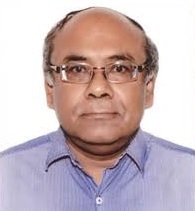 Uttar Pradesh government on Tuesday appointed Rahul Bhatnagar as the state's new chief secretary. Bhatnagar replaces 1982 batch IAS officer Deepak Singhal as chief secretary. In a statement issued after his appointment was formalised by the state government, Bhatnagar said,"The chief minister has given me this new responsibility. It will be my endeavour to meet the challenges associated with this responsibility. It will be my endeavour to ensure a good future for the people of Uttar Pradesh; that we have good infrastructure in place to ensure the overall development of the state and that we have a good environment to ensure all works in the state are carried out." Singhal who replaced 1978 batch officer Alok Ranjan, who retired on June 30 after a three-month extension of service, has been placed on compulsory wait for his next posting as an officer of the state government, media reports said. With the 2017 Assembly elections approaching, Mr. Yadav on Monday sacked two colleagues — controversial Mining Minister Gayatri Prasad Prajapati and Panchayati Raj and Minor Irrigation Minister Raj Kishore Singh, whose name has also surfaced in the alleged scandal in construction of check-dams and cases of land grabbing. The decision came three days after the Allahabad High Court rejected the State government’s application against a CBI probe into allegations of illegal mining activity across the State.